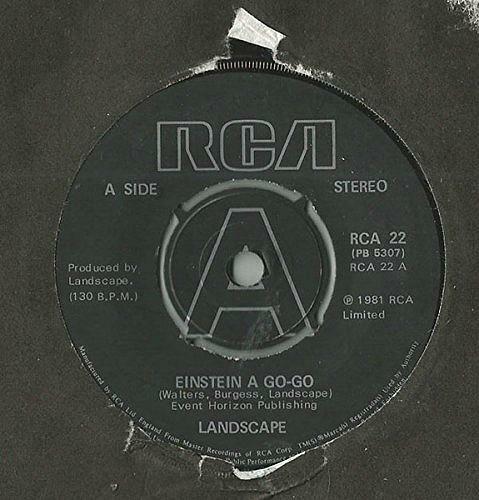 Einstein A Go-Go was a number five hit single for the British band Landscape in 1981. 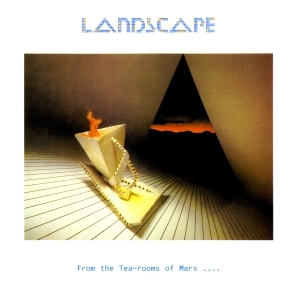 The synthpop tune featured on their second album entitled From The Tea-Rooms Of Mars To The Hell-Holes of Uranus, which reached #13 in the UK album charts. Just saving them from the embarrassment of being labelled another "One Hit Wonder", the band's follow-up single "Norman Bates" scraped into the UK Top 40, peaking at #40 - now that was a close call! The band formed in London, England, and were active between 1974 and 1983, and toured regularly during the 70's, before experimenting with electronic music during the latter part of the decade. The band consisted of Richard James Burgess, Christopher Heaton, Andy Pask, Peter Thoms and John Walters. Richard James Burgess also produced the first two Spandau Ballet albums (he was still in Landscape at the time) as well as producing songs for other 80's acts such as Adam Ant, Five Star, Kim Wilde and Colonel Abrams. John Walters also produced music for other bands, Peter Thoms played trombone for Thomas Dolby and Andy Pask co-wrote the theme music for the ITV drama The Bill. Overall, a pretty talented bunch! The band released their third and final album, Manhattan Boogie-Woogie in 1982. It contained just eight tracks, although five of them lasted for over 4 minutes.